will this unique id function enable sales force integration? Thank you for posting this inquiry. I cannot provide you a specific response to your concern at the moment as I have not yet heard of this and that we have no existing partnership with the company that promotes this application. If you can provide to us more information about this sales force, their website / application, and other details that you wish to do with your form, maybe we can find a way how to make this work for you. 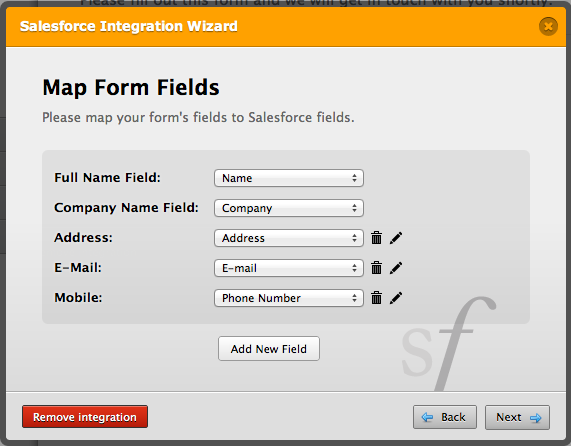 How about Salesforce.com Campaign ID, I can't figure out how to have that field on form. Other form plugins have it as a global setting per form.